The acting awards are out of the way, time for the big ones. Of note, I don’t do the writing or directing categories, although I think them important, because it’s too difficult to pick six episodes out of the hundreds I see all year. Whole seasons? I can do. Individual episodes? Too much. Now that the intro and guest acting awards are out of the way, let’s get to some of the categories you may actually care about. Shows that the Academy nominated here I don’t watch include Glee, Two and a Half Men, Mike & Molly, Hot in Cleveland, The Big C, and Episodes, because I was too busy watching good TV shows. I have seen a few episodes of Raising Hope and enjoyed them, but not enough to nominate anyone from it. Read on for my nominees and winners in the supporting and leading actor and actress categories. With the Emmys fast approaching, I figured I’d better start posting my traditional Andy TV Awards, not that I have a hope in hell in getting it all done before the show. For the uninitiated, the Andy TV Awards are where I not only pick who should win awards in television achievement, but also where I show who should have been nominated in the first place. No sense in simply picking from the Academy’s flawed list of nominees, when they often can’t even be bothered to nominate the very best performances, much less the six best. So what makes me more qualified to do this than the Emmys themselves? For starters, I actually WATCH television, so that puts me ahead of a lot of voters. For the 2010-11 season, I watched complete (or near-complete) seasons of 30 different comedies and dramas. So these choices will be fairly extensive. Of course, I still don’t watch everything, so here’s a list of some critically acclaimed shows that I don’t watch, and thus were left off my ballot: Treme, Dexter (gave up on it this season), Shameless, Glee, The Killing (gave up just in time), and anything from the UK. Shows that aren’t necessarily acclaimed (but did get some Emmy nominations) that I don’t watch include Two and a Half Men, House, Harry’s Law, The Big C, and Law & Order: Special Victims Unit. Read on for the ground rules and my nominees and winners for Guest Performances on TV. Stay tuned for Comedy Acting, Drama Acting, Comedy Series, and Drama Series. So I worked fast to get the acting awards out before the Emmys, but have now been dragging my feet in posting the two big awards: Outstanding Comedy Series and Outstanding Drama Series. 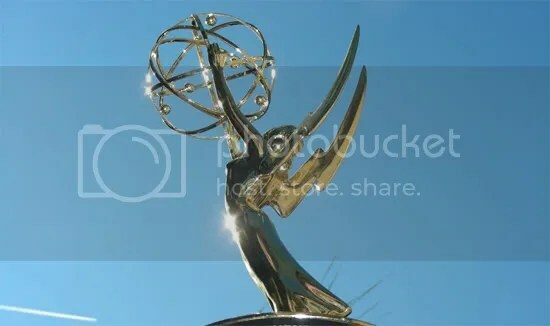 I thought about just rushing through it like actual Emmys did, pushing through the two most important awards as fast as possible because Al Pacino decided to filibuster his acceptance speech for an award no one cares about. But instead, I’m going the other way, and spending more time with these two than the others. Because if you read me at all, it isn’t because of my tendency to be brief. Or timely. Now that we’ve got the introduction and guest stars out of the way, let’s move on to categories people might actually care about. Comedy always takes a back seat to drama at these award shows, playing as the opening act to the more prestigious drama awards. It wasn’t my intention to that here, the reason is more practical: there’s two drama series I’m still hoping to finish before I write/post that category (one I will, one I probably won’t… unless my posting schedule is even slower than I’m anticipating). But I’m all caught up on every comedy I want to watch, so no need to delay. The big missing show here is Glee, which got a whole whack of Emmy nominations but doesn’t interest me at all (the things it does well aren’t typically things I enjoy at all). I also never took to Curb Your Enthusiasm, and have never had any interest in Monk or The New Adventures of Old Christine, and proudly do not watch Two and a Half Men. I did watch 17 different shows this past year that classify themselves as comedies, so the list of potential nominees went pretty deep.